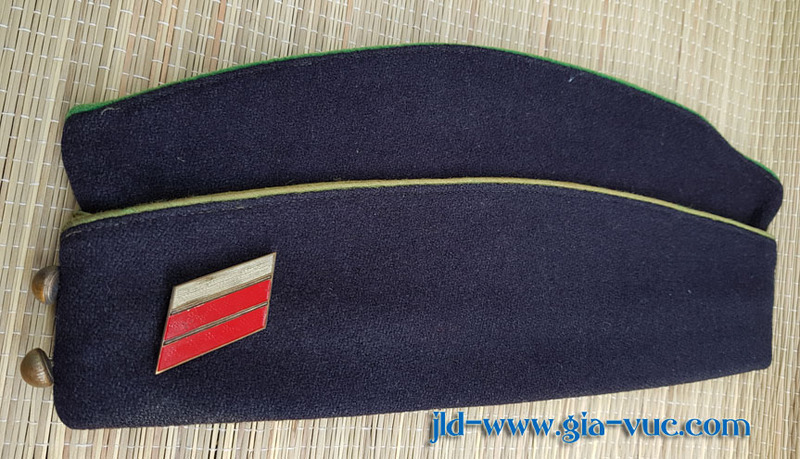 French Indochina side caps "CALOT"
when it was worn by the Grenadiers and Dragoons as a garrison hat. 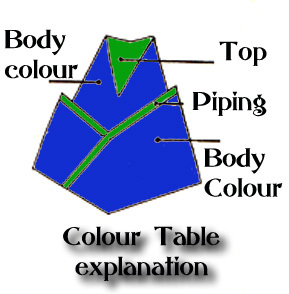 It became very bland by WWI adopting the colour of the field uniform. 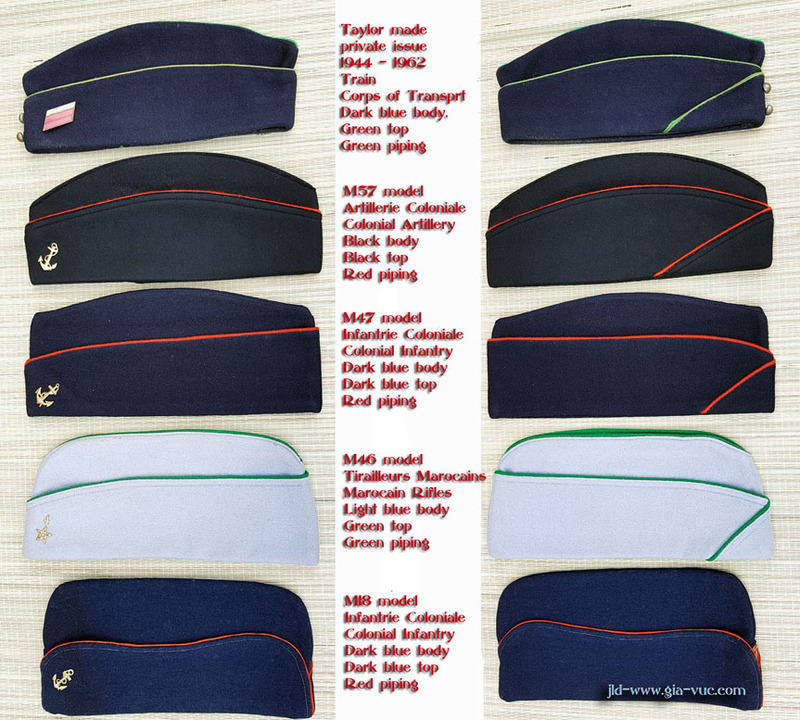 the Free French Forces obtaining private issue side caps to differentiate themselves from the sea of Allied OD uniforms, the side cap adopted the colour of tradition of the branch of the military they served with. These were not officially approved until the 13 November 1946 when the standard issue Model 46 was distributed. 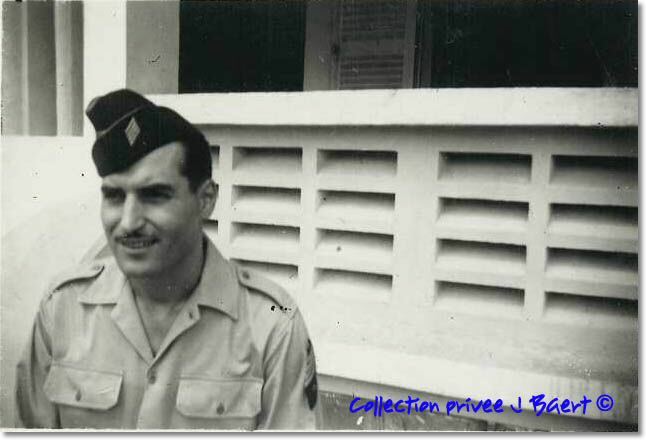 as part of the dress uniform during the Indochina war. Its shape was altered officially in 1947 and then again in 1957. 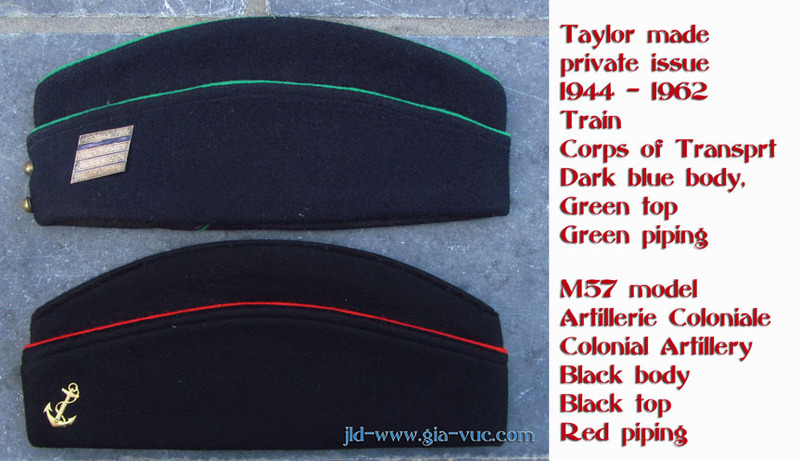 By the end of 1962 it was replaced by the beret. the plain tan or kaki types were also used in Indochina but are not illustrated in that small article. 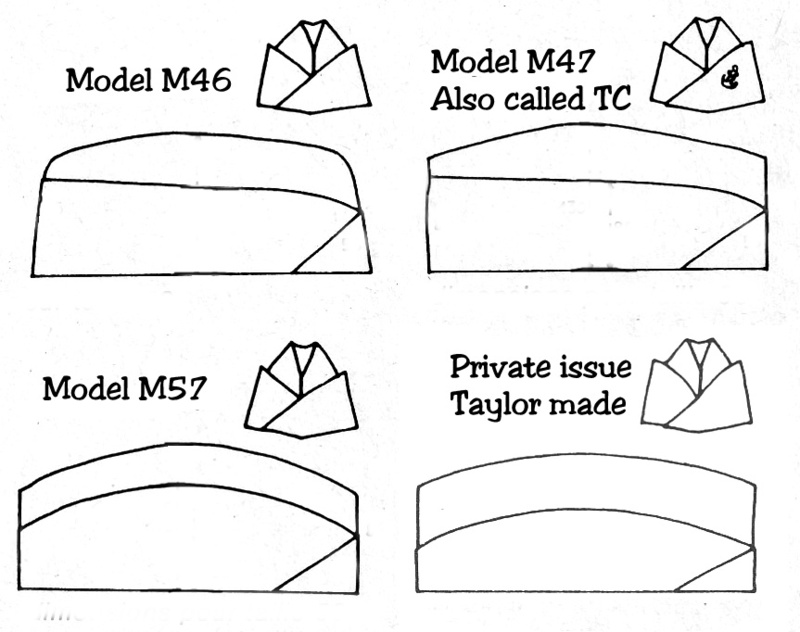 which were popular with cadres during the Indochina War and often resemble what will become the M57. 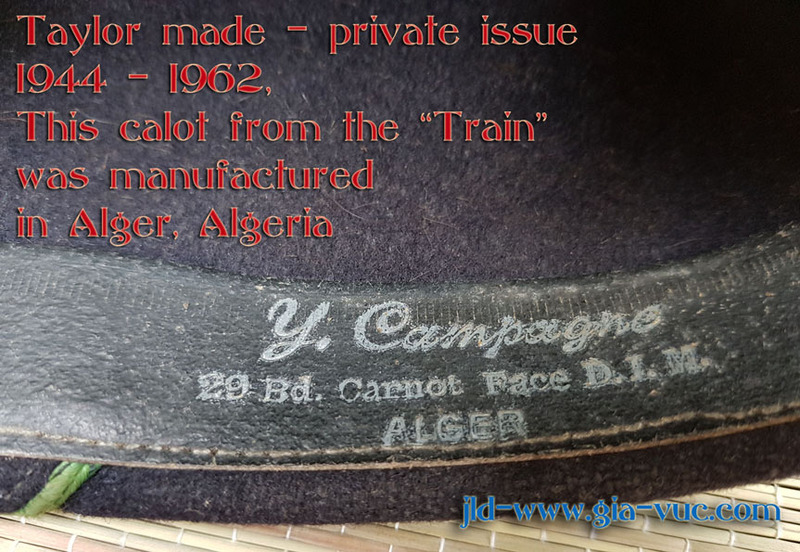 The top "calot" is a "Private Issue" and the type that a lot of cadres had made by tailors from WWII to 1962.
so making the private issue ones difficult to date accurately unless they have a makers label. This one was probably made during the Algerian war looking at the Label and the construction. (see below). No makers tag, so unknow as where it was manufactured, this came with his shoulder company patch. with copies of his photos. 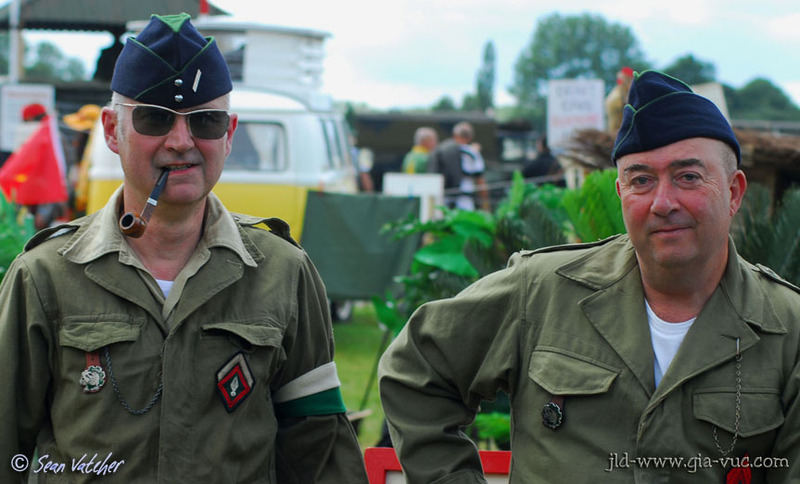 Two members of Rolling Thunder, wearing the M46 "Calot" of the Train. two little buttons on the front of their cap seen on the "calot" of the NCO on the left (silver for the cavalry). The single silver bar is his "locally made" NCO rank of "Marechal des Logis" "Sergeant".